Roemer van Toorn The artist and filmmaker Wim T. Schippers once went over the body of a Parisian taxi with a hammer, as an art object, and then spray-painted it. He wanted to undermine the car as a status symbol and still leave it as a car. Wouldn’t your Porsche improve if you dented it all over and then painted it again? 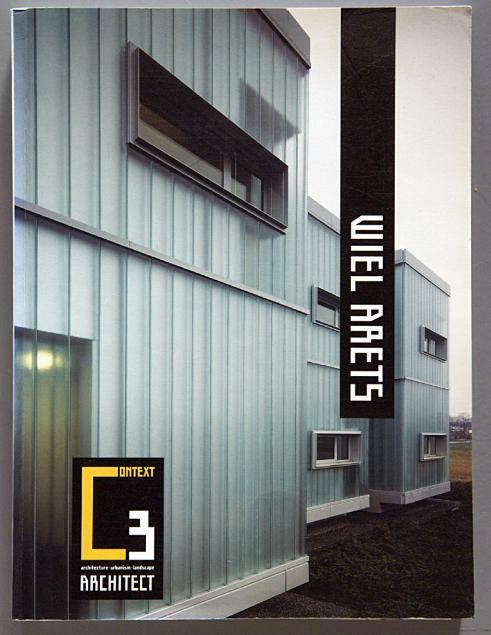 Wiel Arets I don’t like that kind of thing. For me everything has to have a reason which emerges from the making or use. I would never use a bent form because I like arched forms. The arched form I use has a reason within the logic of the use or the situation. RvT In your buildings the structure and the arrangement of the space is not only crystal clear but also emphatically present. While in the films of Lars von Trier and Jean-Luc Godard, which you admire so much, one is not made aware of the order and the structure at all. Is less more? WA The big difference between architecture and film is that in film you remain passive while you are psychologically open to all kinds of filmic experiences. When you’re moving through a building you’re like a cameraman. The viewer walks through the building and sees things by manipulating the route. That’s why the route is so important to me. The construction appears simple, but I can only do that because I take certain measures which you don’t immediately realise. The route in the building is, in principle, the route that in a film is the cameraman’s route. Thus you get a complexity which also emerges in the work of the two filmmakers you mentioned. What I find fascinating is that both of these directors often have different scenes interacting with each other in very different ways. That is something you experience constantly in architecture as a viewer. Most films don’t stand out because they tell a story which is unusual, but because they treat the age-old story of Joseph and Mary, as Jean-Luc Godard does in the film Je vous salue Marie. I think this is also true of my work. After the second, third reading it becomes more and more interesting. I don’t seek complexity of form, I seek complexity of content. I seek polyphony of content because it allows a multiple reading. RvT Almost all films take place within the commonplace. The lived experience in an everyday space is central. Is it your intention to address yourself to the commonplace in your architecture, as many artists and architects now do? WA For me architecture is not an commonplace affair. When I go to a bakery, I choose a specific bakery. I don’t think the baker I choose makes a commonplace product. When I go to the bakery where I get my bread, I can smell that the man is a Titan in his field. Just the smell of the bread. I don’t have to have anything on it. I’m not interested in every baker’s, cobbler’s or artist’s work. I make very specific choices. The problem with a word like ‘commonplace’ is that it suggests a kind of dumming down of our culture. We live in a society where you have to be commonplace, you have to do things everybody understands. If you don’t get good ratings you don’t score, you don’t get funding. Another article in this bookagezine is by Kenneth Frampton.